It’s been over a month since the puck last dropped in an OMHA game and we’re already counting down the days until the next season starts. Having decompressed from the hectic last few weeks of another hockey year, the itch to hit the ice again is starting to form. However, it’s still possible to keep using your sticks and gloves to develop new skills even in the off-season. We’ve highlighted why playing other sports in the off-season is beneficial in helping you become a better athlete. Skills like hand-eye coordination, balance and agility can all improve by doing different physical activities aside from hockey. 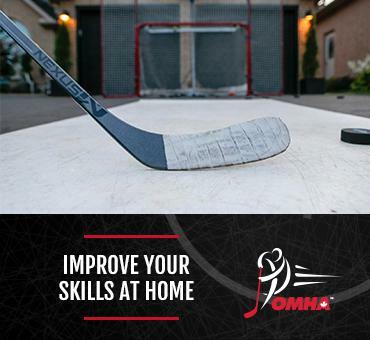 Those who want to keep their skills fresh during the summer should look no further than the OMHA Players Club. The perfect skill-building exercise for hockey players in the off-season, the three challenges each offer drills aimed at improving a player’s skill in different areas of the game. Want to work on your shot? Check out the 5000 Puck Challenge. Looking to improve your stickhandling? There’s the 10,000 Touches Challenge. Need to increase your agility? Try the age-appropriate 30/30 Challenge. Join the OMHA Players Club! Download the 5000 Puck, 10,000 Touches and 30/30 challenge tracking sheets and complete the challenges! 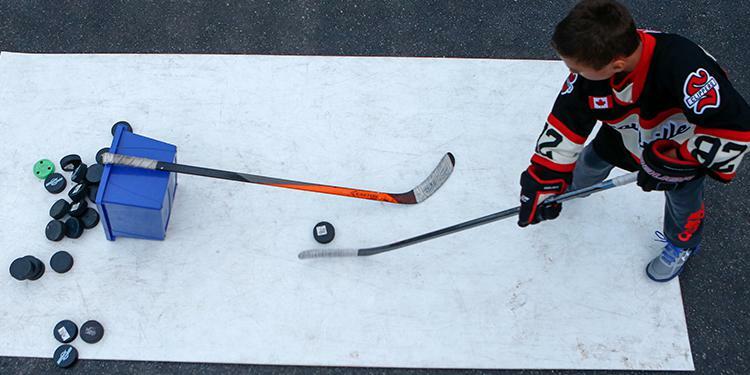 Work on your hockey skills and be eligible for prizes at the same time! The Players Club is also a great way to enjoy the summer months outside while completing the challenges. Invite a neighbour to join you or work with a teammate to achieve your goals. This is a fun but purposeful way for players to work on their shot, puck handling or ABCs (agility, balance, coordination). With no school during the summer months, creating and committing to a schedule to complete a Player’s Club challenge is easier to do. While players can work at their own pace and there are no set time frames, there are suggested time frames and daily tasks to work on each challenge provided on each tracking sheet. Best of all, these challenges can be finished in the comfort of your own driveway or basement. So what are you waiting for? Register and get started on a challenge today! Don’t forget to send in your completed tracking sheets to be eligible to receive OMHA Players Club challenges.